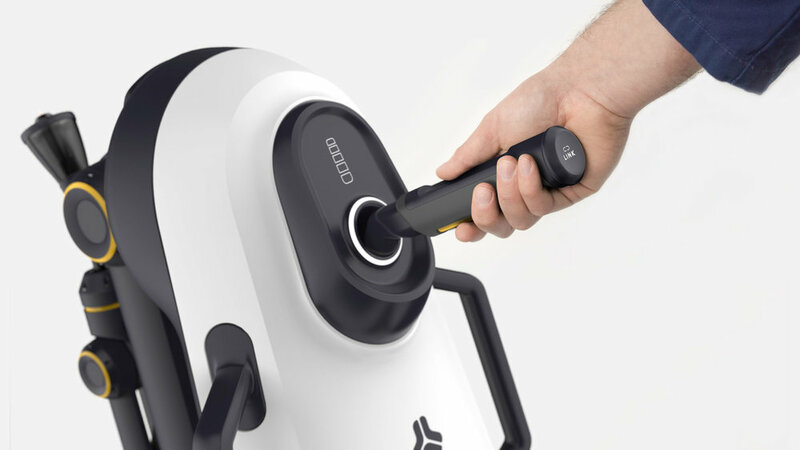 MIKO is the result of a 10-week group project done 2017 at Umeå Institute of design. Our brief was to look into the topic of collaborative robotics and potential areas where collaborative robots could have a positive impact. This project was done in collaboration with ABB with user feedback from Allmek och Svets in Umeå. 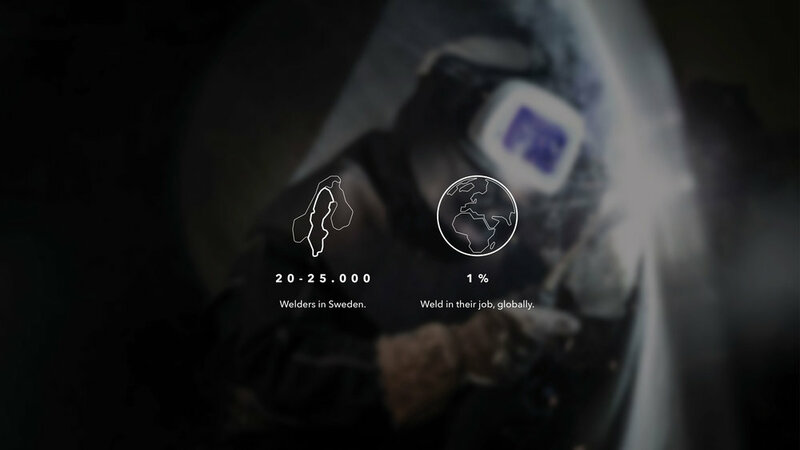 Being a welder is a common profession, it is estimated that there are 25000 welders in Sweden alone. In high volume, serial production welding is often automized, but there is still a lot of manual welding being done in smaller production series and in construction. 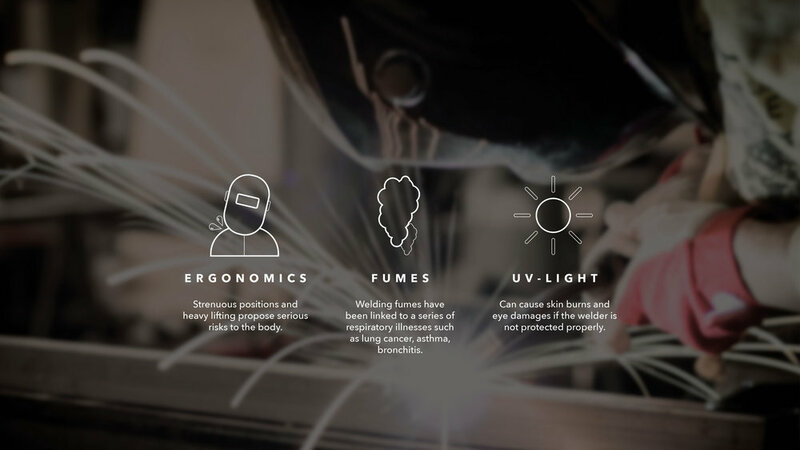 We found that there are three main areas that can potentially be harmful to the welder, fumes, UV-light and strenuous positions. To kick off ideation phase, we did a 5-day sprint. The first day we mapped out our findings from the field research and set a plan for the upcoming days. The second day we explored ideas through sketching. 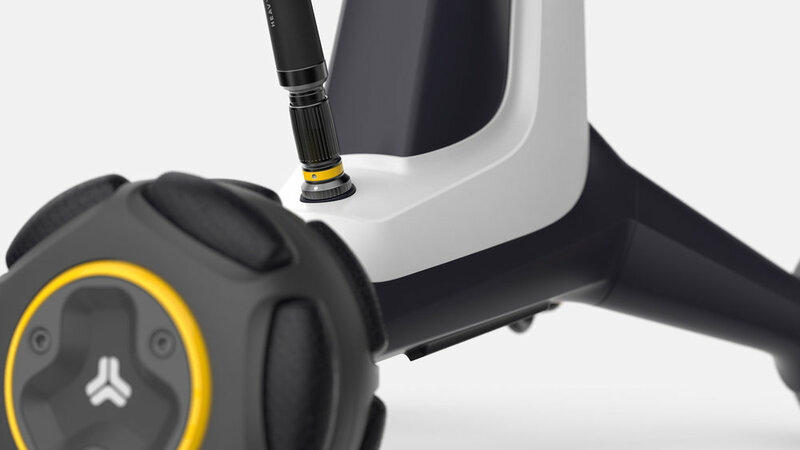 On the third day, we evaluated the sketches and decided for what to prototype. In the fourth day, we prototyped our ideas through video and a cardboard. In the fifth and last day, we went back to the metal workshop to get feedback on our concepts. 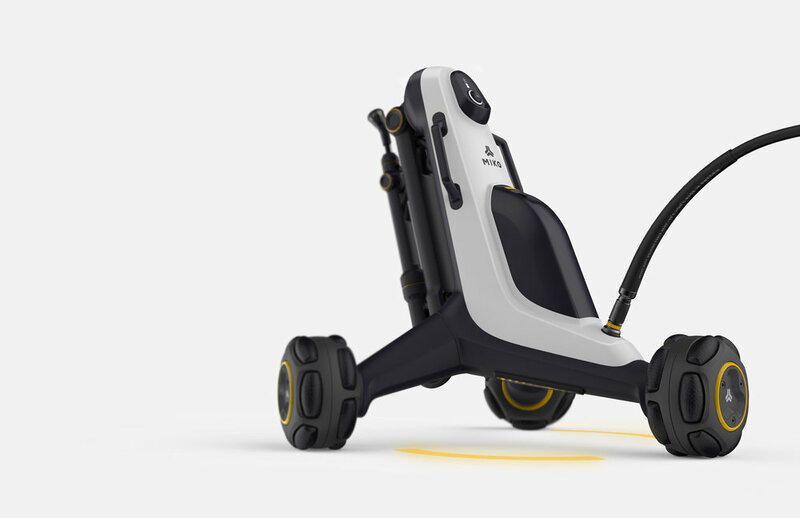 How might we introduce collaborative robots into small scale workshops to increase safety among workers? 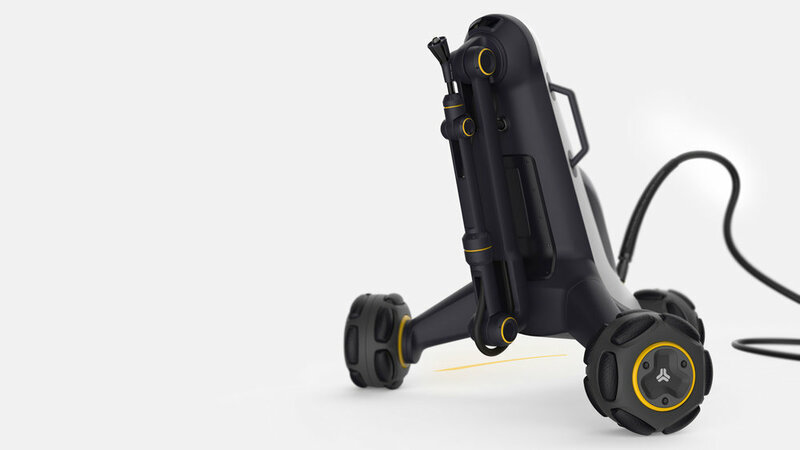 We wanted the robot to visually communicate that it is safe to approach while still being a rugged and performance oriented product suited for a workshop context. 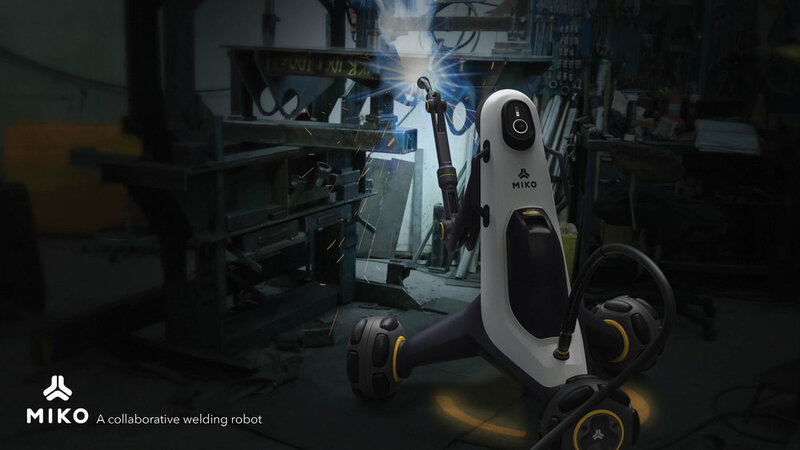 MIKO is a collaborative welding robot that is designed to be safe to work around. After being done tack welding MIKO takes over and finishes the full welds, meanwhile, the welder can start to plan and prepare for the next job. 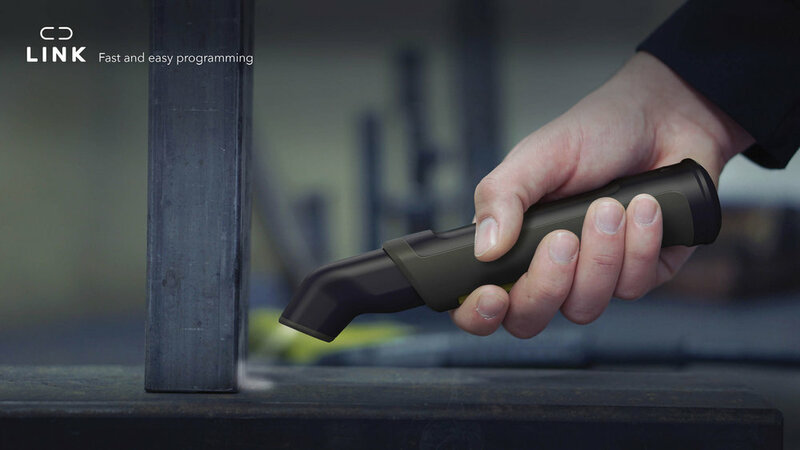 MIKO is programed through the LINK tool that lets the welder teach MIKO in a familiar and easy way. 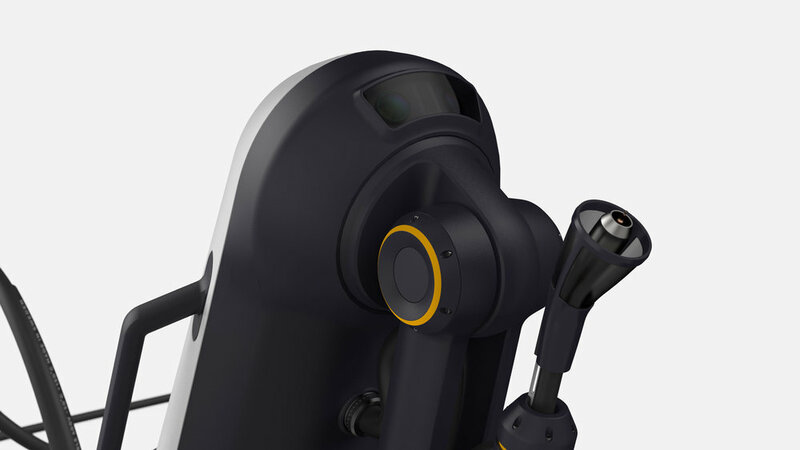 To set up and program an industrial robot often takes a professional, to give flexibility and agility to MIKO we designed the LINK tool. It is a teaching tool that borrows the characteristics of a weld gun and by simply showing where to weld MIKO gets the necessary information to take over and complete the task. When welding you need to take into considerations your colleges around you. Being exposed to the light from the arc can cause eye damage. 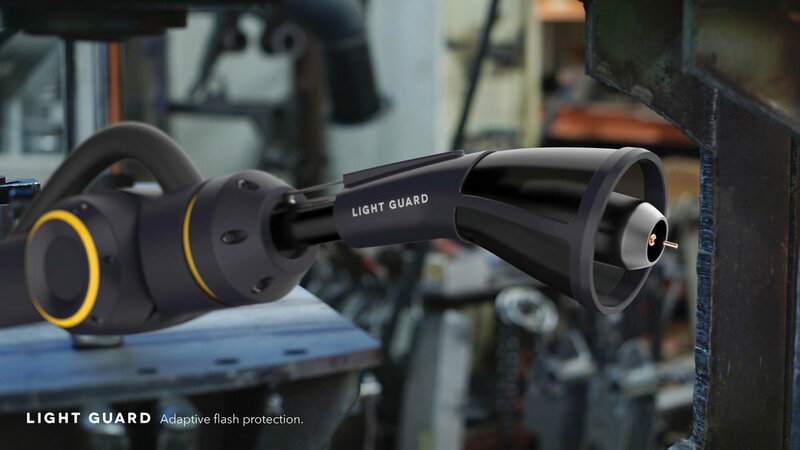 The adaptive Light Guard makes MIKO into a safe assistant in the workshop reducing the risk of coworkers being flashed by the arc from the weld gun. 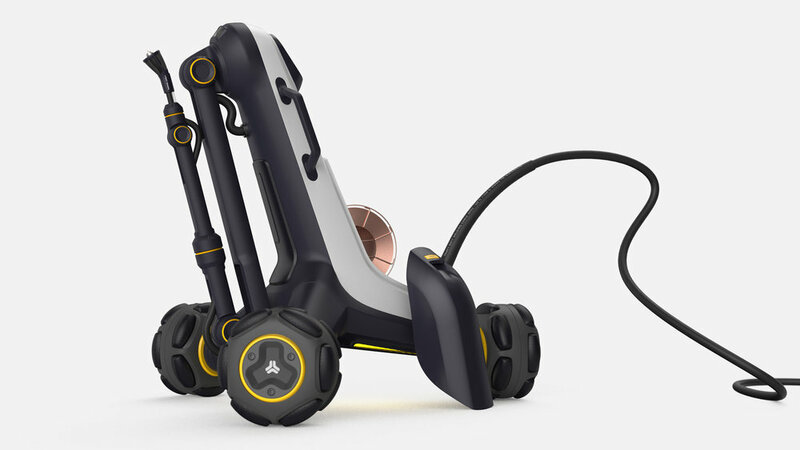 MIKO is designed to be a support for small-scale metal workshops. 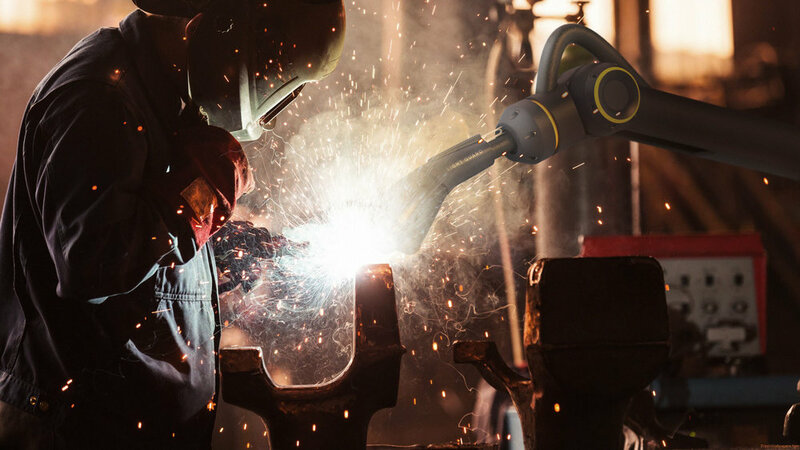 MIKO assists the welders in doing full welds, the most harmful part of welding and lets the welders do less harmful tasks as tack welding and planing the jobs.